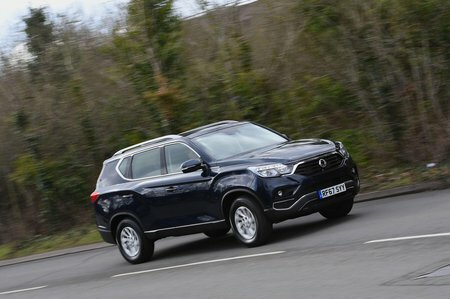 Ssangyong Rexton Ultimate Review and Deals 2019 | What Car? Top-spec Ultimate trim adds quilted leather seats with ventilation up front and a memory function for the driver, better headlights, LED ambient lighting inside, an electric tailgate, blindspot monitoring, lane change assist, rear cross-traffic alert and 20in wheels. Too pricey to recommend.